Have you heard the news? 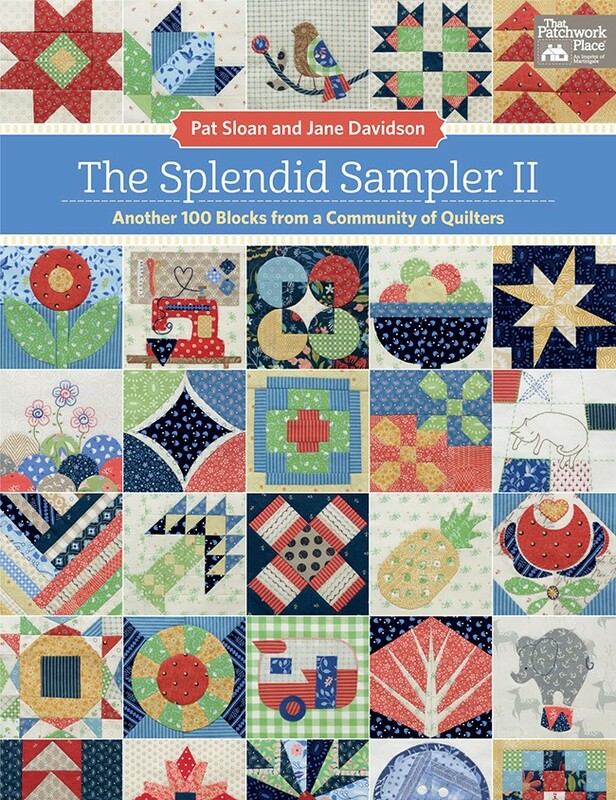 Pat Sloan and Jane Davidson have put together a sequel to their successful Splendid Sampler book. 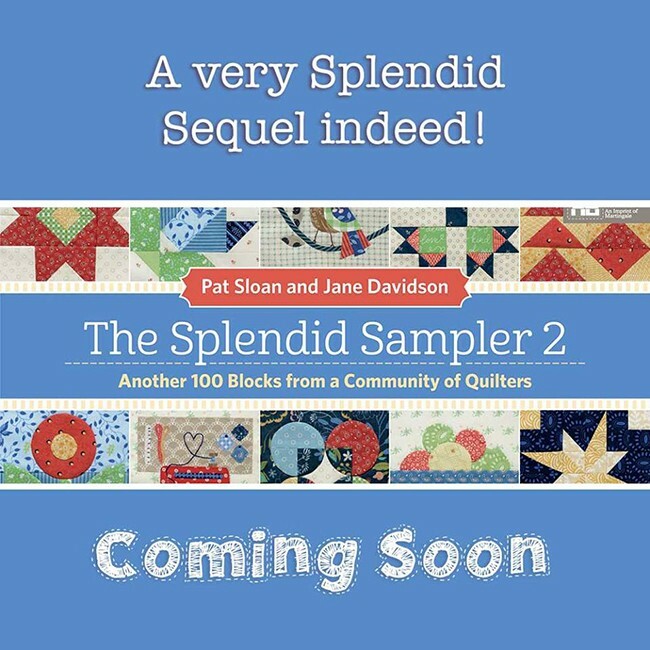 The Splendid Sampler 2 is coming soon with another 100 blocks to create a unique sampler quilt. The book is available for preorder on Amazon. Pat and Jane were kind enough to invite me to design a block for the sequel. I had great fun doing so and hope you will all enjoy making my block! I can’t share which one it is quite yet…so many secrets! 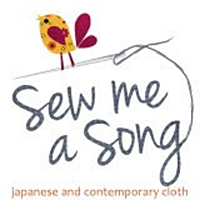 You can read all about this project here on the Splendid Sampler web site. Do you plan to sew along? I can’t commit to all 100 blocks but I will be sewing many of them and I hope that you will follow my progress and I will follow yours!